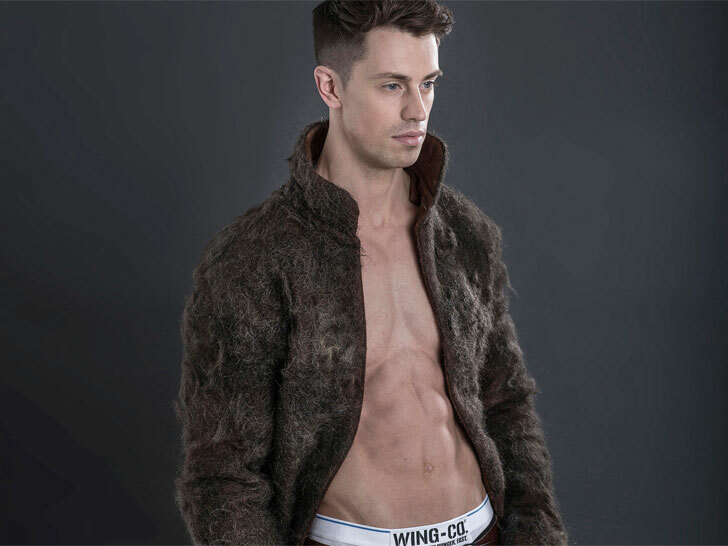 We doubt if a phone call to PETA would result in a protest response to a new “fur” coat made entirely from millions of male chest hairs (yes, it’s true and no, men were not injured in the making of this product). UK dairy company Arla commissioned the coat for a series of parody advertisements in support of a new chocolate milk drink aimed at men for the brand Wing-Co. The “Man-fur Coat” is said to be “a wake-up call for the nation’s gents. A way to encourage them to readopt the values of assured ‘men’s men’ from yesteryear who would laugh nonchalantly in the face of adversity and be proud of their abundant manliness”. Though we’re not entirely sold on Arla’s attempt to make the connection between milk and man hair, we applaud the designers who spent up to 200 hours weaving together the man strands of hair into the funny frock. Arla strongly believes that British men have been “manning down”—a characterization they are calling into question by the vast amount of men shaving their chest hairs and sporting “emasculating fashion”. Priced at $3,900, any man can cop the coat for instant restoration of his repressed manliness. This isn’t the first time designers have experimented with discarded human hair. London-based Nina Khazani created a collection of high-end accessories entirely from human tresses. Let’s also not forget Giorgia Zanellato who presented a line of grooming tools made entirely from sheared strands. We doubt if a phone call to PETA would result in a protest response to a new �fur� coat made entirely from millions of male chest hairs (yes, it�s true and no, men were not injured in the making of this product). UK dairy company Arla commissioned the coat for a series of parody advertisements in support of a new chocolate milk drink aimed at men for the brand Wing-Co. The �Man-fur Coat� is said to be �a wake-up call for the nation�s gents. A way to encourage them to readopt the values of assured �men�s men� from yesteryear who would laugh nonchalantly in the face of adversity and be proud of their abundant manliness�.